I first met Felipe at this year’s Art Basel in Miami as he prepared an installation for Scope Art Fair with Mirus Gallery. Until then, I had never seen Felipe’s work in person, and it’s probably some of the most unique work I’ve experienced lately. His wild compositions and fantastic colors are arresting, creating movement in something that’s ultimately displayed statically. The patterns in color, black, and white create a sense that either you or the work are in motion; one almost experiences a sense of vertigo looking at it. At times it makes the eyes shutter, depending on the person and their sense of grounding. But this isn’t a bad thing—it’s my belief that some art is supposed to affect you on a physical level and not just intellectually. My personal interest in Felipe stems from my affiliation with graffiti, but what intrigues me about Felipe is that he’s not afraid to get off the wall and into areas of sculpture and installation. And it doesn’t just look like graffiti in the gallery, it’s refined, well-made, super clean, and professional. He’s very hands on, focused, and deliberate. His ability to continue pushing the limits of his medium alone is something worth keeping an eye on. Brock Brake: What is your infatuation with the Dada Movement? 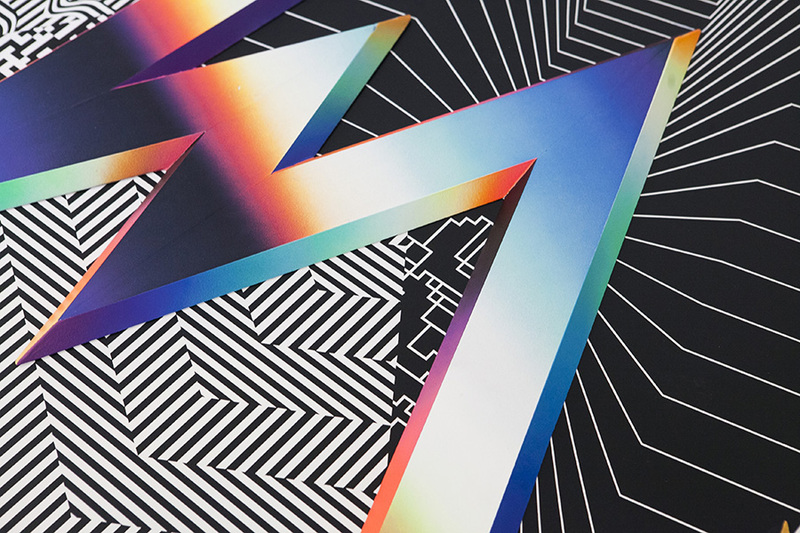 Felipe Pantone: I think it was a very interesting period in art. Nowadays, everyone takes for granted the fact that we can jump from one technique to another, break barriers, embrace random. I think Dada broke quite a few rules. How would you explain Kinetic art to someone? It’s basically any art that contains movement. 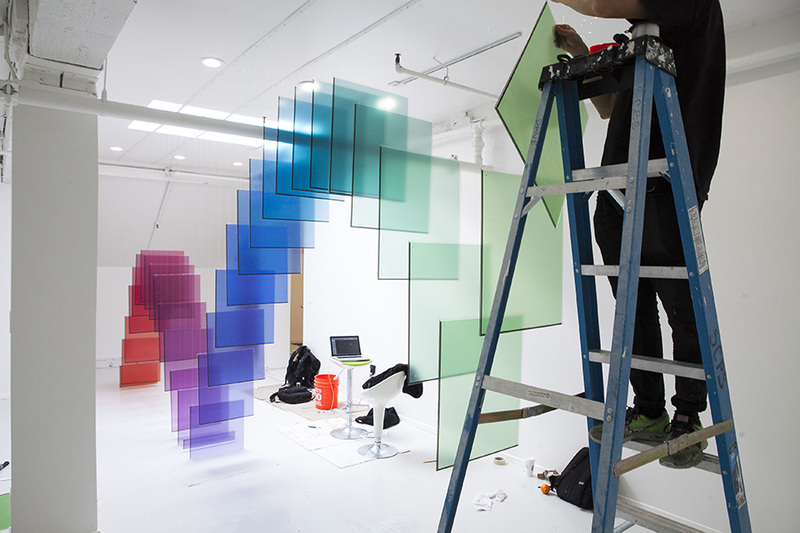 It can be actual motion, it can be produced by transformation (when the viewer moves around a piece) or by virtual movement (optical art for example). Learning from another creative mind in a mentor situation can be a really good or bad thing. What did you learn working for Seen that you carry with you now? Techniques, work ethic, work process, etc? It was a very good experience. I think I’ve always been pretty productive, but being part of a big studio and seeing Seen work everyday in that American, productive way was very cool. Also, the masking tape technique I learned from the time working there… I use nowadays in my work. How did you end up in a Japanese prison for 11 days? What did you do during that time? You can end up in jail in Japan very easily for doing graffiti or anything like that that is not a big deal in Europe or in America. I didn’t do much, just thinking pretty much. They ended up giving me pen and paper the [during] last days only and I could finally get to draw a little and to write some essays. I felt the need to some of my ideas in order, to question myself about that I wanted to do in art, and obviously, in the process, I found what I didn’t want to do. So I ended up writing these rules, in the style of the Futurist Manifesto, as a sort of tribute. I reckon it was a way to speak to myself, put the ideas in order, [during] some free time. Of course I don’t mean to follow any single rule of those, nor any other. Any desire to retry recruitment efforts? Of course not! It is supposed to be an art movement, but it really was some essay that I happened to write. I made a show with Dems titled “Ultradinámica,” so he got “subscribed” to the movement, but nothing was meant to be very serious. What got you into graffiti? Just seeing graffiti all over the neighborhood where I used to live as a kid. I always enjoyed drawing, and every kid in the neighborhood would spend the afternoons on the streets skating, playing soccer, and doing graffiti. I just never quit being a kid I guess. 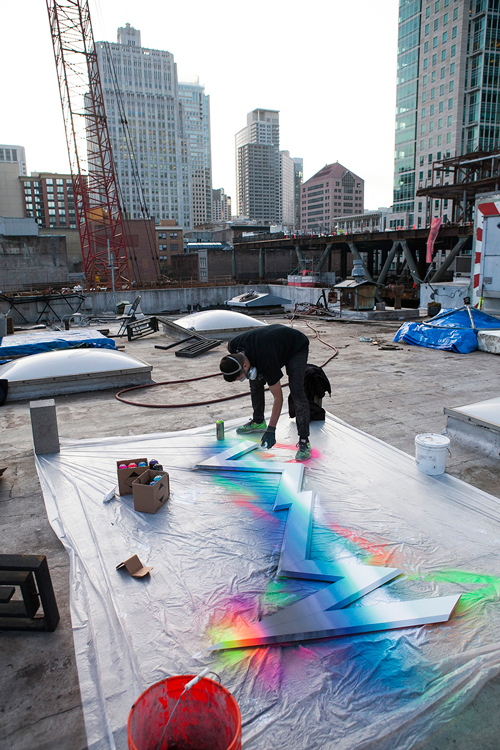 Did you go to art school or were you able to utilize what you learned from graffiti to reach this stage of your career? Graffiti came first. Then, when the time came, I didn’t know what to do when I grew up, so I kind of tricked my parents to go to art school until I figured out what to do. I just wanted to do graffiti at that time. I never really learned much from art school, I mean, I can paint your portrait with oil paint and all that, but I always found that pointless. But luckily, now we have every tutorial on the Internet, so I just kept trying to find what I really wanted to do. What was the inspiration for your exhibition “W3-DIMENSIONAL” at Mirus Gallery in Downtown San Francisco, especially with some of the sculptures and the installation piece? Whats up next for Felipe Pantone? I’m right now on the plane on my way to the PowWow Festival in Hawaii, pretty excited about it! I’ll be releasing my first book in a couple of weeks, together with my friend the photographer Omar Quiñones, and published by The Grifters. And a few mural projects are getting booked for the upcoming good weather in the Northern hemisphere too. 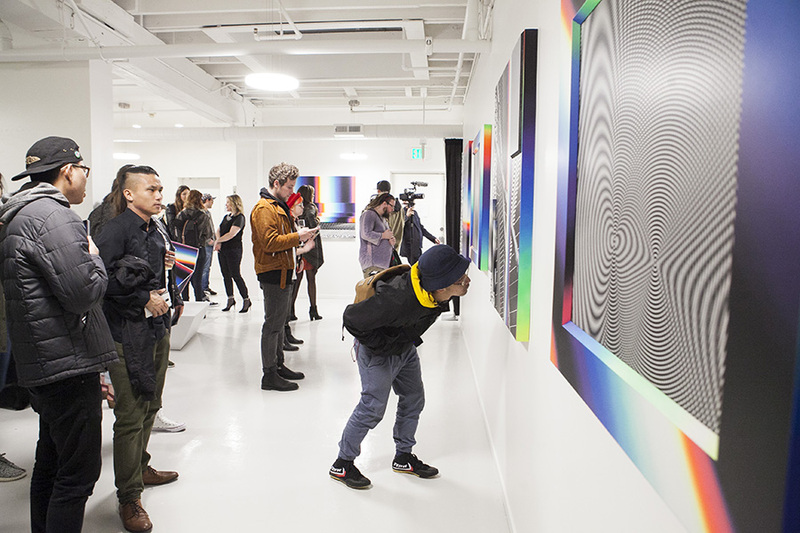 Be sure to check out Felipe Pantone’s work in person at Mirus Gallery until this Saturday, February 20th in Downtown San Francisco. If you don’t already, do yourself a favor and follow Felipe on Instagram @felipepantone.